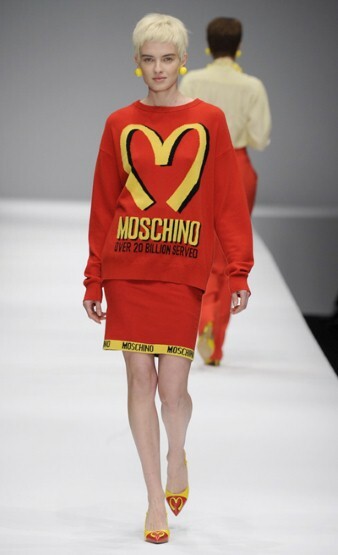 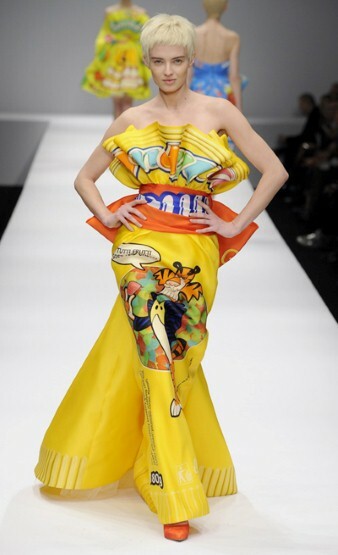 If you ever had a doubt about how scrumptious and tempting McDonalds might be, rest assured that Jeremy Scott has got us all in temptation after his ever so striking show at MFW yesterday. 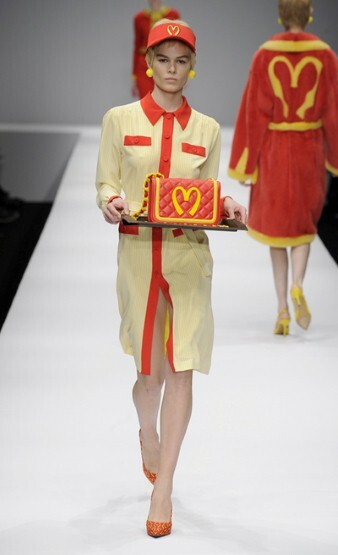 Models came out dressed in McUniform, McNugget and McFries box handbags; how appetizing is that? 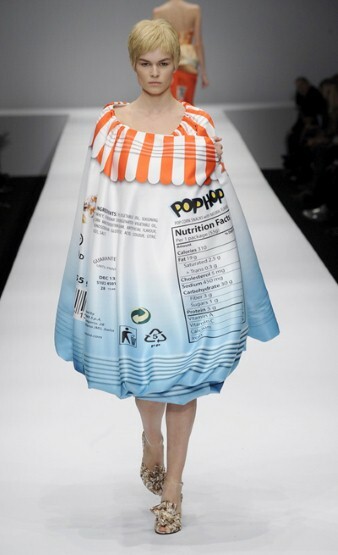 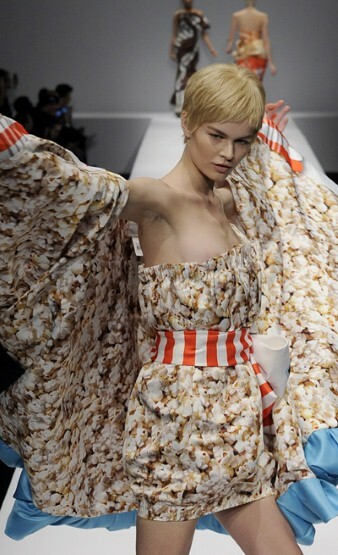 For the finale of the show, prom gowns were recreated as Hershey’s bars, microwavable popcorn and crunchy chips. 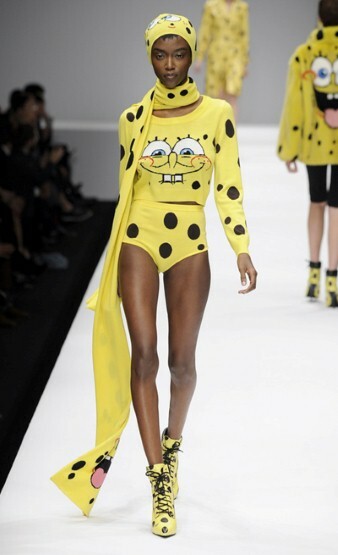 However, my favorite part of the whole show was the dedicated collection to Spongebob Squarepants that was actually an official collaboration between the two. 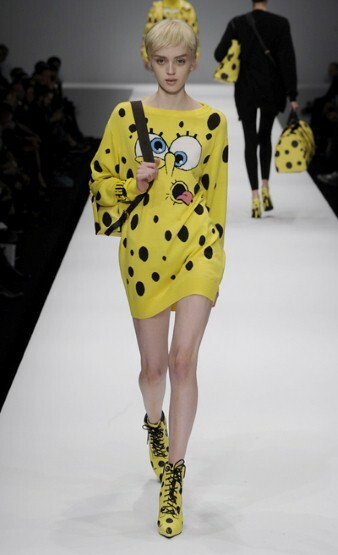 I thought the full black look with the Spongebob accessories has to be officially one of the most interesting and attractive collections I have seen this season. 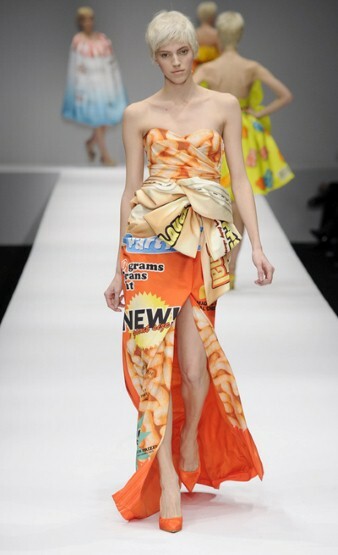 For whoever thought that there was only so much more to be creative about, Jeremy has surely set a new high for expectations and creativity; chapeau bas.